It makes one moment worth a lifetime. It turns mourning into gladness. It turns my empty life into fullness of life. It gives me rest and security. And He fills me with beauty. Please, add to the list. 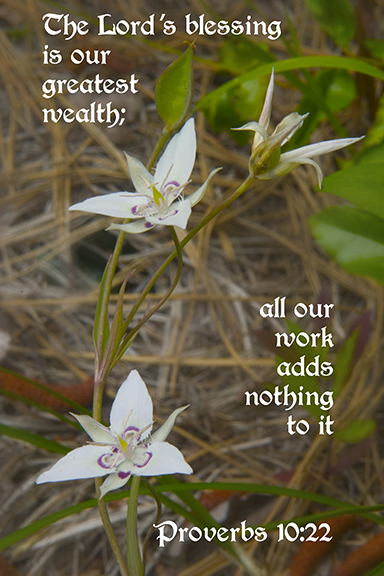 This entry was posted in Photography and tagged Proverbs 10:22, Star Tulip, wildflower by Stephen Hufman. Bookmark the permalink. This is a beautiful, powerful, truthful meditation.